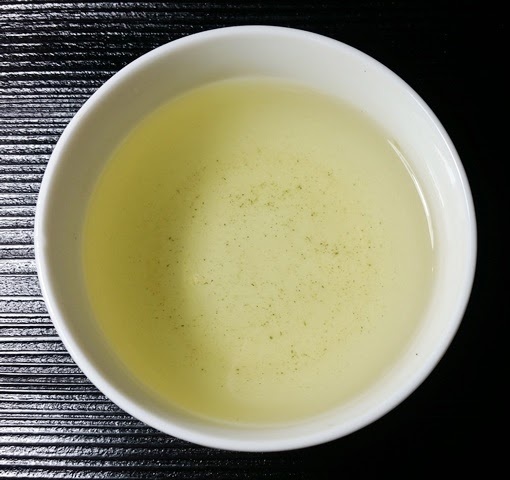 Product Description: In Japanese, the name of this tea – Kirameki no Sencha or きらめきの煎茶 – carries the nuance of shimmering light as it dances on and through cool, refreshing water. Shaded for two weeks before harvest, the leaves produced create a tea that is light and refreshing, perfect as a cool drink to quench your thirst on hot summer days. Grown on a south facing hillside, the fields have good exposure to the sun and wind. Combining the strong summer sun, more mature leaves, and the two-week covering technique used in producing Obubu's Kabuse Sencha, the characteristic of Kirameki no Sencha leaves is that its sweetness is light and refreshing. The dry leaf aroma is nutty and green with notes of fragrant wood and minerals. 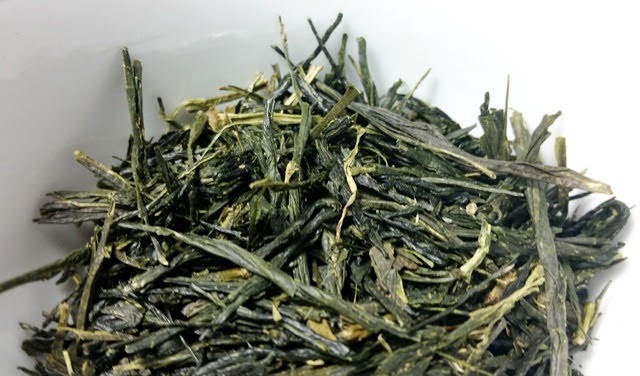 The pale jade infusion has a savory, buttery, nutty aroma and taste with a sweet green finish. 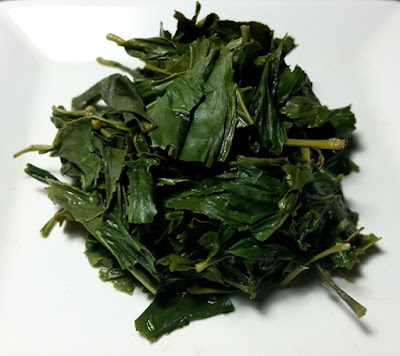 To make up for using less leaf than the recommended 5 grams, I increased the steeping time to 1 minute and again to 1.5 minutes when the flavor was slightly lighter than ideal. I do recommend reducing the steeping time for the second infusion for more savory results. The overall character of this sencha reminded me of springtime and green grass warming in the sun.